Sao Paulo – Cheap Rooms in Sao Paulo. Maps of Sao Paulo, Photos and Reviews for each cheap room in Sao Paulo. 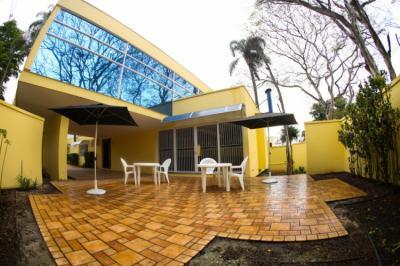 Looking for a hostel in Sao Paulo? 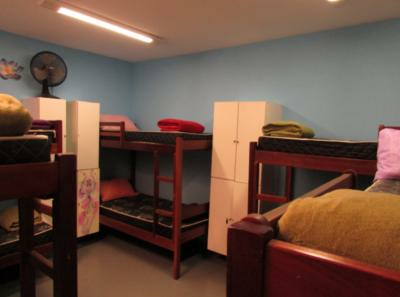 Look no further, all the good deals in Sao Paulo are on Dorms.com. Like thousands of other people every month, book your hostel securely at the best price in all neighbourhoods of Sao Paulo. 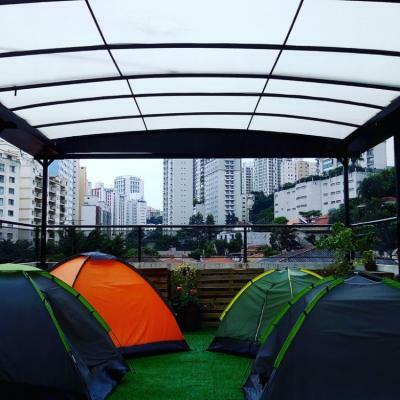 On this site, you can easily find a hostel downtown, in a trendy neighbourhood; a hostel in the student- university district, close to bus or train stations, airports or major attractions of Sao Paulo. From the INTERNATIONAL AIRPORT, there are 3 options you can take to arrive at our door: 1 - TAXI: (Around R$120,00) - has to be paid in advanced at the airport. 2 - AIRPORT BUS SERVICE: (R$ 40,00 p/person) The bus takes you to different stops in town, the closest to us is at the Maksoud Hotel. From there, walk to Av. Paulista and take the TRIANON-MASP metro station (green line) towards Vila Prudente, get off at PARAISO metro station*, which is just 2 stops from here. We are located in a privileged area, a few meters from Paulista Avenue, one of the main bus stops of the city and the Paulista and Consolação metro stations. In addition, the nightlife present in the famous Rua Augusta and Frei Caneca are just a few steps away from the Hostel! This is such a wonderful treat. Good food from the restaurant downstairs. Affordable, clean, perfect location. Perfect for an adventurous getaway!! Such great vibes and great people! Good location. Close to the park, metro and bus station. The place was cool and comfy. Very helpful and kind staff. It was a great experience. If you are a social butterfly then this is the place for you. The hostel hosts their party until the wee hours of the morning and you can go on a pub crawl. Stay here if you want to have a good time. Strategically located next to Avenida Paulista and the subway. Staff are attentive, breakfast was good. We are located only four stations away from Sé (City Center) and the Metro is less than 2 minutes walking! The Green Grass Hostel is the closest to Guarulhos International airport (Only 1 station away from the bus stop - Metrô Tatuapé) and very next to Brás, Pari, Bom Retiro, Vinte e cinco de Março, Municipal Market, Sé, Liberdade and Luz. Markets, pharmacies, conveniences, parties, restaurants, currency exchange, hair salons, bars can all be found near the State hostel. You can go to the main sights of São Paulo (Pinacoteca, the Martinelli Building, Terraço Italia, the Municipal Theater, the Sala São Paulo, Stock Exchange) and various Shopping Centers (March 25, Good Retreat, Brás and Santa Efigênia). Plus, the famous Avenue Paulista is only 5 minutes by subway! 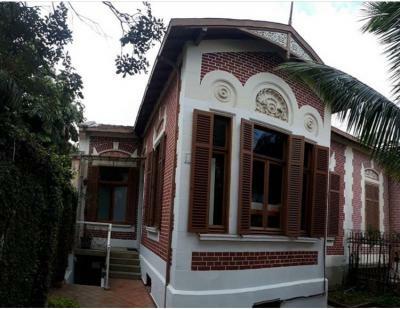 Located in Sao Paulo, 2,3km from the intersection of Avenida Faria Lima with Avenida Juscelino Kubitschek, only 20 minutes away from Paulista and Parque do Ibirapuera. Because the hostel is located in a residential area, it was quiet and relaxing and guaranteed a good night's sleep. Apart from that, I don't really have anything worth mentioning. Ideal for someone who is just passing through. The facilities look dated and could use some upgrade. Located in a secured area. Good hostel in Sao Paulo. Center 3 Shopping is 2.3 km from the hostel, while Sao Paulo Municipal Market is 2.4 km from the property. Sao Paulo/Congonhas Airport is 7 km away. The nearest Airport is Guarulhos, less than 20 min by car. But there is an option, that is Congonhas, about 30 min by car. The hostel is centrally located there are shops and grocery nearby. Rooms are okay and breakfast was pretty basic but it's free although the place could use a little bit of TLC. 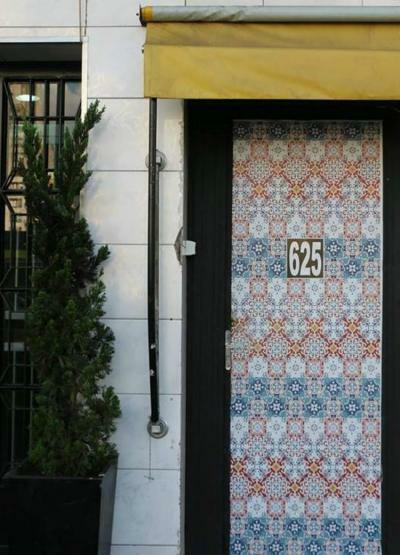 Hostel is well located, close to the subway and marketplace. When I was there I was lucky to have clean room and beddings during my stay. Warm and welcoming place&people;. service and location is (near subway, shops, etc), and yummy breakfast. I wish I can go back asap. clean and cozy rooms, clean hostel, helpful and friendly people, lovely breakfast, located in a quiet neighborhood. and near the subway. So relaxing.. I will definitely go back.